I welcomed Jameson to the Lullabies for Josephine Photography family with his Fresh 48 Session at the hospital in Livingston, NJ. He came to my studio in Lincoln Park, NJ a week or so after for his big debut as a professional model. He was sooo good! He slept the whole time like a champ!!! Mom requested warm colors and she wanted a set up that would "scream Fall!". I really got inspired and went outside to pick up some leaves to create something that would "scream Fall". A few months before this session, I ordered one of my favorite frames from Farmhouse Frames. They are one of my favorite vendors and my Rustic Framed Prints are handmade by them. I had a vision of using this frame as part of a set up and no baby let me use it before. But Jameson did! I was so happy with the total look and style of the image and so was mom. Jameson was a total dream to photograph. And both mom and dad loved their photos so much!!! This is the best part for me. I will never get tired of seeing the parents' faces when they see their baby's photos for the first time! I love what I do and each one of these babies have a little piece of my heart. 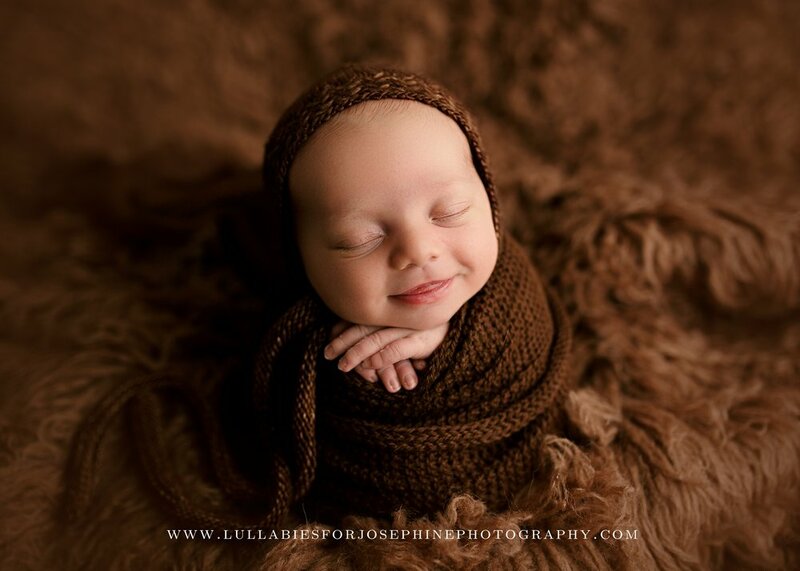 Being one of the best newborn photographers in NJ fills me up with pride. Want to know more information about a session with me? Great!! Click HERE to get in touch!